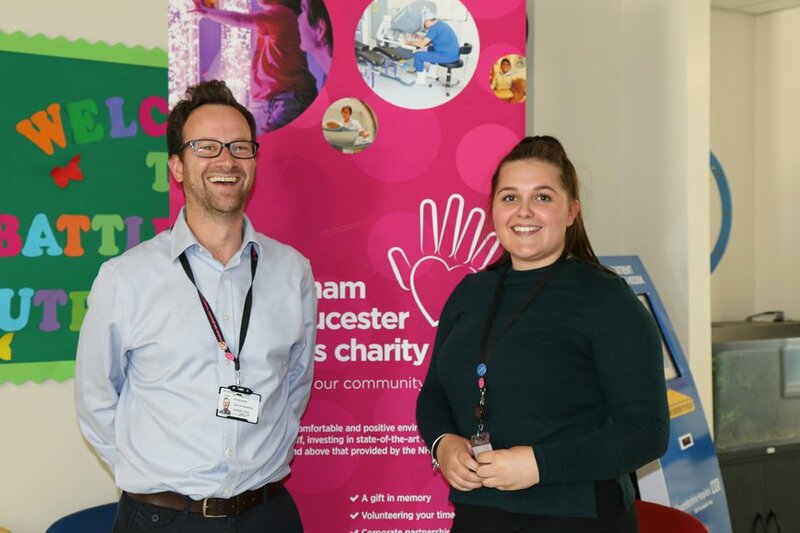 The Cheltenham and Gloucester Hospitals Charity raises funds to make a real difference for our patients, their families and the staff who treat them and work in Gloucestershire Royal and Cheltenham General Hospitals alongside the Stroud Maternity Unit. Your support for the Charity enables us to invest in projects that make the hospitals better for you. Our aim is to create a comfortable and positive environment for all of our patients and staff, investing in improvements to our buildings, in state of the art equipment and extra care over and above that provided by the NHS. Thanks to the generous support of the local community, the Friends of Gloucestershire Royal Hospital, the Friends of Cheltenham Hospital and other local charities, we have already funded many projects. Patients, relatives and friends and other groups of individuals make donations and provide legacies to the Hospital Trust’s Charitable Fund to assist with the work of the hospitals. Every year, up to £500,000 is kindly donated and used to purchase equipment and extra items that we would not otherwise be able to afford. Recent items purchased include: a neonatal ventilator, a radiation planning system, a non-invasive ventilator, affinity birthing beds, video larynscopes and general furniture for our Wards. If you would like to fundraise, volunteer or make a donation to the Cheltenham and Gloucester Hospitals Charity, please contact the Charity Fundraising Office on: 0300 422 4716 or by email: ghn-tr.fundraising@nhs.net or via our contact page.